What is the problem, if any, with my smile and bite? 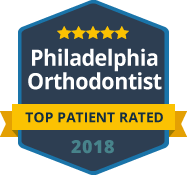 This is your time to ask questions- we want to make sure you are comfortable with the treatment recommended and that nothing stands in your way of your dream smile. After all of your questions have been answered, Margaret will review any orthodontic insurance benefits that you may have, and the investment for treatment.